We are a major Measuring Set Manufacturer and Exporter from India. 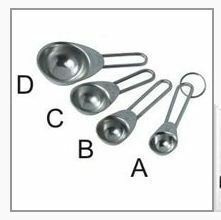 Measuring Set, offered by us, is being manufactured using the best technology in our manufacturing unit. 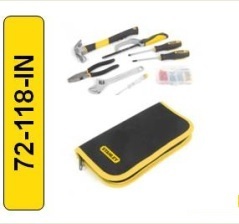 These Measuring Sets are made in compliance with the set industrial standards. These Measuring Sets are being offered in varied grades and specications. - Available in square, grooved or pin type anvil design for the particular application. - Interface with Computer for DG Cal Software. - Graphical presentation of errors in both direction. The 9 pc measuring set is a great addition to your kitchen. They are effective in providing maximum utility in homes and kitchens as well as enhancing the decor of kitchen. They are manufactured with excellent tensile strength, perfect finish & sheen. - Wires are hardened, ground and lapped. - 18 sizes of wires available assorted or in a set.